1. 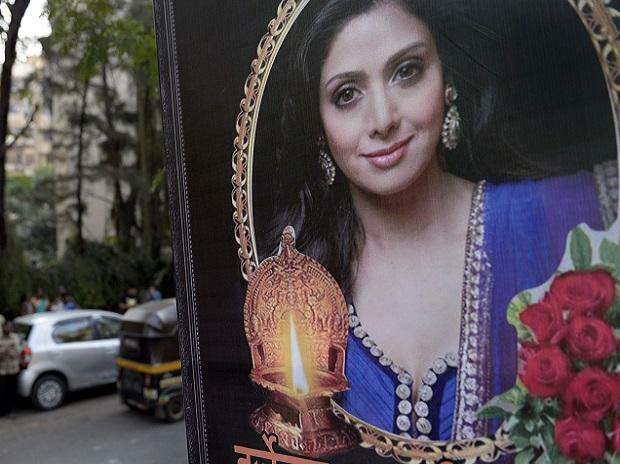 Celebs pay their last respect to Sridevi: Filmmakers and actors were among the people who arrived at Mumbai’s Celebration Sports Club to pay their respect to the veteran actor. Among the first to arrive at the club were actors Arbaz Khan and Urvashi Rautela. Film producer Karan Johar also arrived at the club on Wednesday morning. 2. Funeral today: Sridevi’s funeral will take place at the Vile Parle Seva Samaj Crematorium & Hindu Cemetery at around 3:30 pm. According to the arrangements, the media would not be allowed either inside the club or the crematorium. 3. Fans allowed to pay their last respect: The body will be kept for three hours at the Celebration Sports Club, Andheri (West) from 9.30 am onwards to enable people and her fans to pay their last respect, according to a statement released by her family. 4. Fans jostle for a glimpse: As the ambulance carrying the mortal remains of the actor entered her residence, a number of fans jostled for a glimpse of their favourite actor. Visuals from the site showed fans lining up on both sides of the road leading up to the residence with some even climbing the trees to have a clear view. 5. No foul play: Dubai prosecutor’s office said on Tuesday that it was closing the case following the completion of investigations. The agency put to rest all speculations on her death by stating that she had died from “accidental drowning” in her bathtub, after losing consciousness. “The case had been closed,” the prosecutor’s office said.